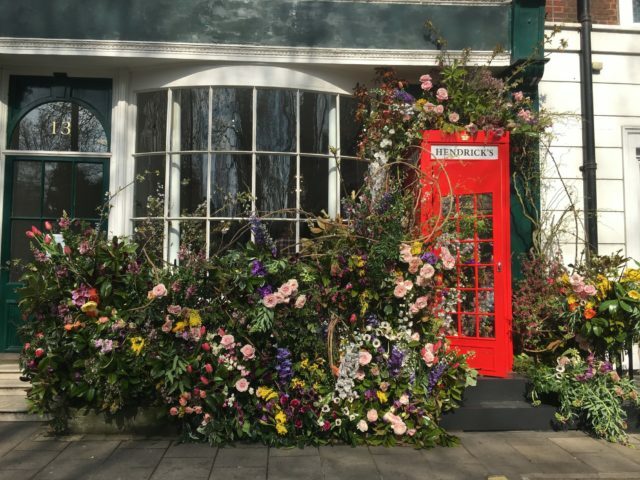 William Grant and Sons-owned gin brand Hendrick’s is installing phone boxes full of flowers, gin and mirrors to celebrate the launch of its Midsummer Solstice Gin. The brand is erecting the pop-up phone boxes in five locations around the UK, offering free samples to passers by. 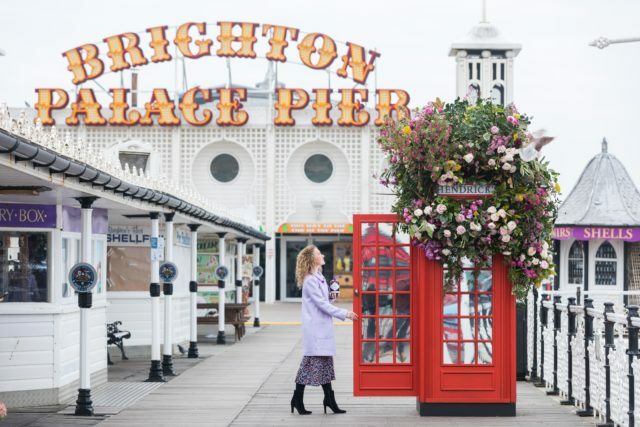 The phone boxes which will be “obliterated by flowers” are promoting the launch of the brand’s new gin, created by master distiller Lesley Gracie. The limited-edition, 43.4% ABV gin is the first expression to launch from Gracie’s “Cabinet of Curiosities”, which is said to be “a place of experimental botanic alchemy” at the Hendrick’s Gin Palace in Scotland. Said to be made in the brand’s house-style, the gin is then infused with floral essences and flavours that capture the “aromatic intensity of a midsummer day”. Guests will be rewarded with a sample of the gin, plus a further drink made with the new expression and a flower to take away with them. The phone boxes will be installed today in London’s Soho Square between 12pm and 9pm, Brighton Palace Pier between 12pm and 7pm and Edinburgh’s Castle Street between 12pm and 7pm. They’ll also be on show on Saturday in Edinburgh and Liverpool Salthouse Dock between 12pm and 7pm. On Sunday, the phone boxes will be in Liverpool again and in Manchester’s King Street between 12pm and 7pm, also occupying the street on Monday 1 April. Commenting on the launch last month, Gracie said: “I have always been enamoured by the power of nature’s flavours and aromas at the peak of summer and for this new expression I’ve hand-selected each floral essence to capture this intensity.